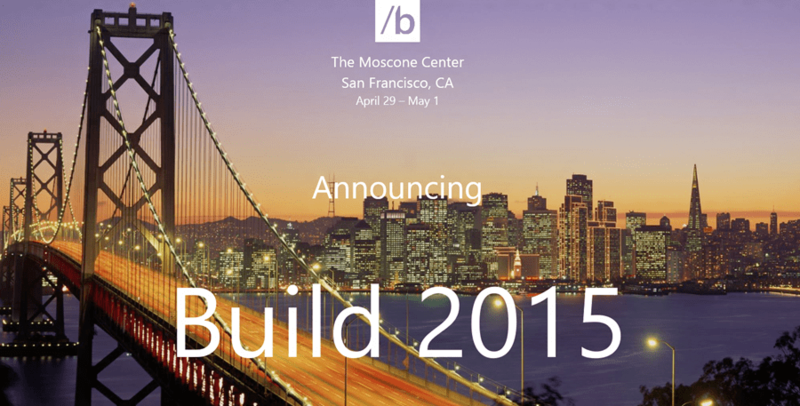 Microsoft’s Build developer conference is an annual event and in 2015, it’ll be coming to San Francisco from April 29 – May 1. If you’re keen to attend, registration costs US$2,095 and will open at 9:00am PST on Thursday, January 22. While the software giant continues it’s transition to a ‘mobile-first, cloud-first’ company, the biggest focus for this year’s build will be Windows 10. Windows 10 is currently in Technical Preview and we’re racing towards an event later this month where it’s expected we’ll see the Consumer Preview. The rest of the year will be used to refine the release before getting it to OEM’s in preparation for Christmas 2015 sales. Windows 10 actually refers to much more than just the desktop OS, it’s also going to be running / replacing the Windows Phone OS. This is a massive shift and developers will likely need to be briefed (at Build) on how to update their applications to support true universal deployment across device platforms. More information on the Microsoft Blog.